​Ok, so, tonight we witness something a pretty historic moment in footballing history. Tonight we witnessed something genuinely shocking. Tonight we witnessed something we'd thought we'd seen before. Tonight, we witnessed: THE WORST REFEREEING DECISION OF ALL TIME. 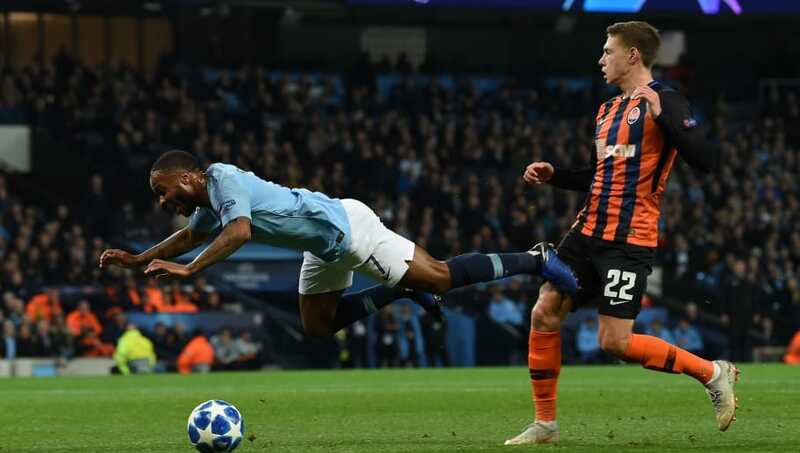 On Wednesday 7th November 2018, with Manchester City already leading 1-0 at home to Shakthar Donetsk, Raheem Sterling ran into the penalty area, kicked the ground instead of the ball, and was awarded a penalty for doing so. ​Raheem Sterling ran into the penalty area, kicked THE GROUND instead of THE BALL, and was awarded a penalty for doing so. Football fans on Twitter, as expected, had a complete meltdown. The subsequent penalty was duly converted by Gabriel Jesus in the 24th minute, before Raheem Sterling gave the Citizens an unassailable 3-0 lead immediately after the half time interval. This time, Sterling kicked the ball instead of the ground, and he did so with aplomb, as he curled home City's third goal of the evening from just outside the right of the penalty area.